Hotel Socrates v Atény, Řecko: Zarezervujte nyní! 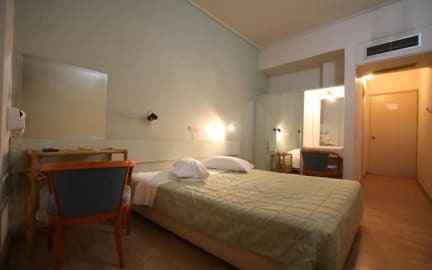 Hotel Socrates convenient location affords you the opportunity to visit renowned attractions such as Acropolis, Parthenon, Plaka, Parliament Building at Syndagma Square and the Olympic Stadium. 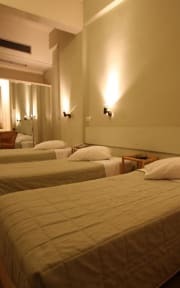 The hotel restaurant also offers the opportunity to enjoy snacks and meals, including grilled specialties and home-cooked Greek dishes, during the course of the day and evening. The hotel restaurant offers snacks and cooked meals from 7:00am to 11:00pm. Guests can sit and relax in our lounge and bar areas throughout the day and night.Enjoy a drink and snack while watching television, reading, or chatting with friends and family. High-speed connection on computers provided for complimentary use to hotel guests is also available in the bar area.